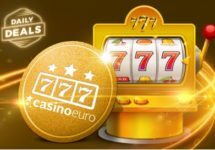 Casino Euro – Win an Italian VIP getaway! Four chances to win a VIP break in sunny Italy! Get ready for a taste of “La Dolce Vita” with a 3-night Luxury Italian Getaway for you and a guest, including wine tasting, cooking classes and much more. As well as four of these gorgeous getaways up for grabs, there will be another 50 players to win €100 from the €5,000 prize pool in the extraordinary Casino Euro VIP Italian Giveaway. Small reminder for the “Daily Deal” campaign, claim a 50% reload bonus today, up to €25, to boost your balance and collect more tickets to the prize draw. Wagering requirement is 40x bonus within five days. Will you be one of the four lucky winners and jet off to scenic Tuscany for a luxury getaway? 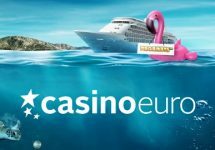 Only way to find out is to earn tickets throughout the coming week to qualify for the Casino Euro Prize Draw, where 4 VIP holidays and 50x €100 bonus will be raffled off among all qualifying players. Amount of tickets per player is not limited. 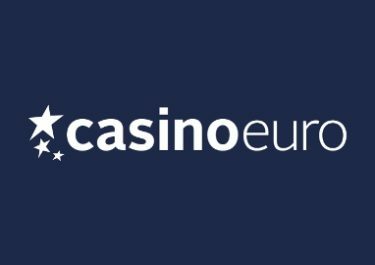 The promotion is shared between Casino Euro, EuroCasino, Mr Smith, Sverigeautomaten, Norgesautomaten, Suomiarvat and Casino.dk. On 1st August, Casino Euro will randomly draw 4 tickets for the holiday prize and 50 tickets for the €100 bonus prizes. All bonuses will be credited by 15:00 CET and carry a 10x wagering requirement within six days. Dinner at Villa Mangiacane’s Restaurant. Private cooking class at the villa followed by dinner and wine pairing. Private guided tour of Florence. Dinner at Michelin starred Osteria di Passignano Restaurant. Return flights for 2 from a European airport. Launched as early as 2002, the casino is operated by the acclaimed BML Group Ltd. under licenses from the MGA Malta and the UK Gambling Commission. 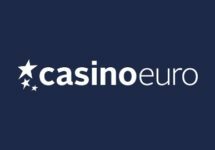 Casino Euro offers Casino, Video Poker, Table Games and Live Casino on desktop, mobile and tablet with games from well-known providers such as Netent, Big Time Gaming, Blueprint Gaming, Elk Studios, Foxium, GTS, IGT, Leander Games, Lightning Box, Microgaming, NextGen, NYX Interactive, Novomatic, Play’n GO, Pragmatic Play, Push Gaming, Quickspin, Rabcat, Red Tiger Gaming, Scientific Games, Thunderkick, WMS and Yggdrasil. The LIVE Casino tables are powered by Evolution Gaming, Extreme Live Gaming and Netent Live.